Today was a bit of a lark. I wasn’t sure I would actually run the race, but I did have to get my miles in. We have house guests this week, one of whom I’ve been running with: he is into Nordic walking, so while I run, he does his walking and it works out well. Recently, the running club has promoted a “walking” aspect to the race, actively seeking walkers to do a timed walk of the course. He was down with the idea, so he and I went down to Worcester State to do the 5k. While they’ve been here a few days, I seem to have gained about 5-pounds which is definitely an unhappy development – especially since over that time I’ve run 16 miles. We may have stayed up a bit later last night than would generally be considered appropriate training regimine, and with that in mind I figured today would be a train wreck. It wasn’t. Well, not really. It still wasn’t great – better than the last time I ran it last month, with the closest comparator being last November’s 24:55 time. It’s 11-seconds faster than last month which is a positive, but in re-reading my description of the race (nagging injury, conditioning) and my action plan (increase mileage, more frequent long runs) I see that really hasn’t done too much – enough to get me 11-seconds, but not much else. 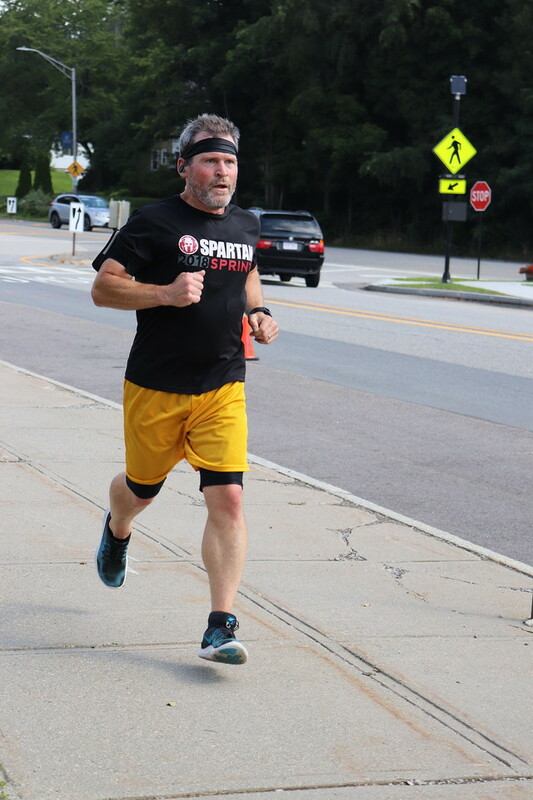 I went out HARD in mile 1 – a 7:01 min/mile and despite my best efforts, I realize that was entirely too fast – it was a fast group today, and to my detriment, I tried to keep up with the big dogs. I’m not sure of my actual pacing after that, as my watch lost the satellite connection midway through the second mile and for some reason when it reconnected, it decided that I had run an additional .3 mile. I know about where that happened based on the map it drew, but as far as doing the math to figure out what my actual pace was for that mile, it’s going to be lost to history. But, what I do know the time translates to about an 8:02 pace for the overall race, and given that I know my first mile was 7:01, it’s not really hard to figure out that at least one of the following miles was pretty disgraceful. I have noticed this past month or so running in the heat and humidity — prior to this year its something that to this point I have not done with any consistency either due to injury or motivation — I am a big sweaty mess. Almost as if someone poured a bucket of water over my head. Today, I had to wring out my headband. Just. Gross. I don’t know why this is or if it’s normal to get that disgusting, especially after a short race like a 5k. I don’t know if that’s my body telling me that my conditioning is terrible, or if it’s normal, or what. I do think, though, that it reflects the effort my body is putting out and that it means I’m working far harder (at least on these hot, humid days) than my pace would suggest. 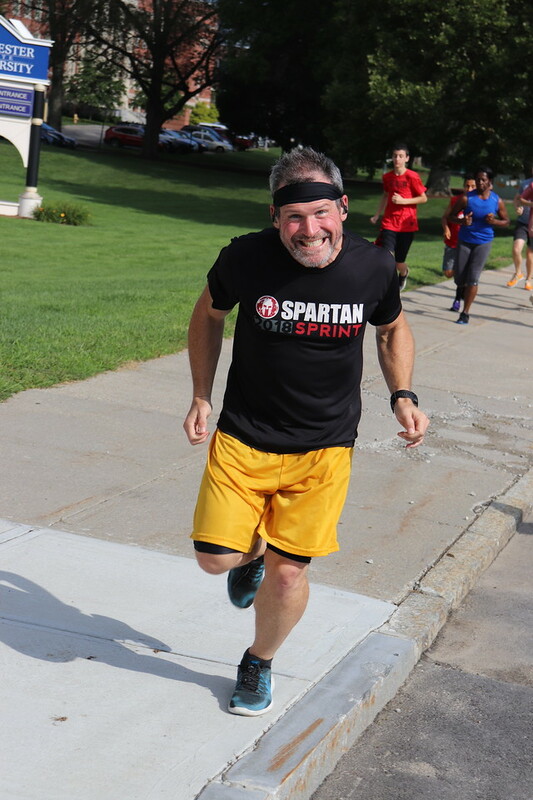 So, perhaps come October, when the weather is cooler and far less humid, I’ll be in far better condition to go back to tearing up these races. July 28, 2018: 24:57. Humid, 76. Disgusting swamp weather. June 16, 2018: 25:08. 75, clear. Beautiful. January 27, 2018: 24:24. 34 degrees, sunny. Just beautiful.